On a mission inside Dominion space, the U.S.S. 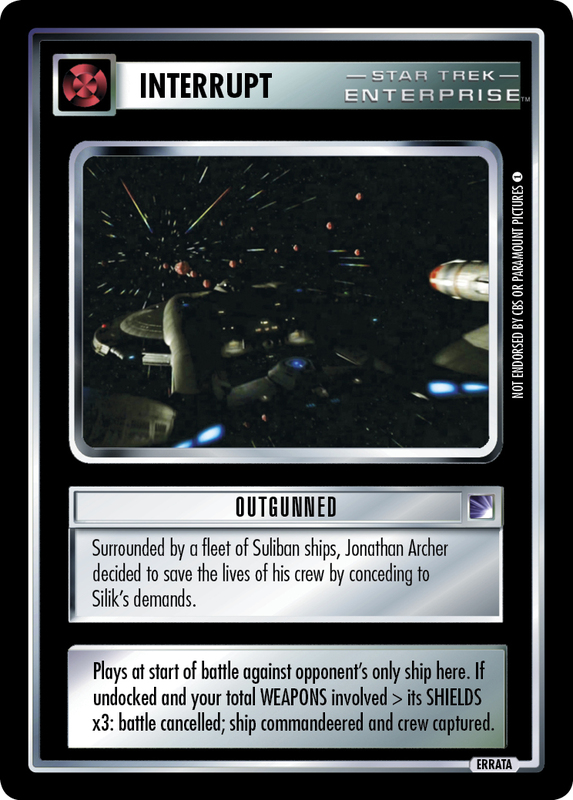 Defiant was surrounded by Jem'Hadar vessels. 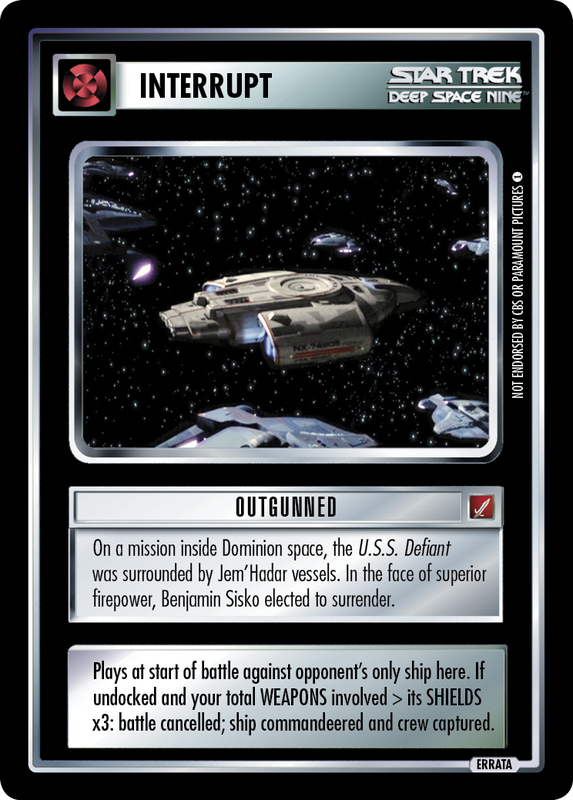 In the face of superior firepower, Benjamin Sisko elected to surrender.